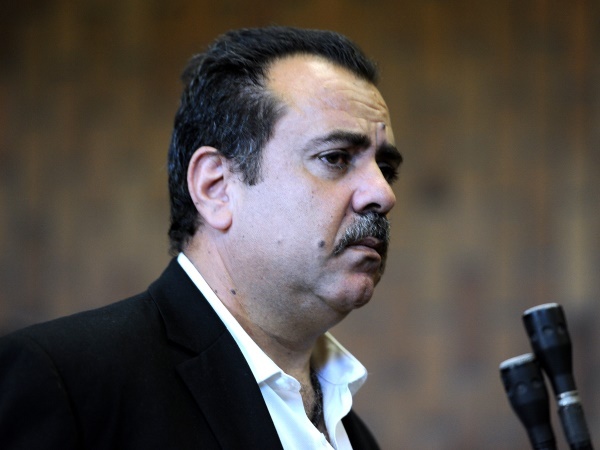 Dressed in blue jeans, a white shirt, and black jacket, murder accused George Louca stepped into the dock at the Kempton Park Magistrate's Court on the East Rand on Wednesday. He looked composed as he spoke to his lawyer Owen Blumberg. Louca, a Cypriot national, appeared amid a high security presence with heavily armed members of the special task team present in court. He is accused of killing Teazers boss Lolly Jackson. He faces additional charges of money laundering and possession of stolen goods. Louca returned to South Africa several weeks ago after losing his final appeal in the Supreme Court of Cyprus, the last of several attempts to evade extradition. He left South Africa after Jackson was shot dead at a house in Edenglen, east of Johannesburg, on May 3, 2010. Louca reportedly phoned Gauteng crime intelligence boss Joey Mabasa and admitted to being present when Jackson was murdered. Lt-Gen Solomon Makgale said at the time the Hawks were investigating a number of other cases to which Louca could possibly be linked.